That Bengali phrase translates to “the very meaning of pujo.” Pujo here refers to Durga Puja, the biggest festival for Bengalis. It marks goddess Durga’s descent to earth for ten days every year. This year, Durga Puja officially begins on September 23. It’s a special time of the year. A time when religion and worship become the venerated background. The foreground is the Bengalis’ love for culture, cuisine, and most of all, celebration. the unmistakable slight chill in the air that indicates the enervating summer days are history. The sky looks bright, the air feels fresh, the heart sings with the first autumn notes. 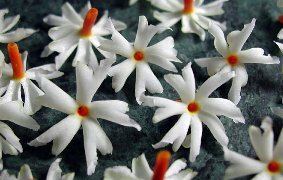 the scent of shiuli flower floating in from the tree outside the house every evening, signaling the coming of Durga. waking up at 4 am on Mahalaya, the invocation that seeks Durga’s descent on earth. Even before dawn cracks through the sky on this day, All India Radio broadcasts a special audio programme, featuring scriptural chants, classical songs, and the story of how Durga annihilated Mahisasura, the demon king. the memories of taking part in pre-pujo competitions all over the neighbourhood. Recitation, music, art, sports, fancy dress…the competitions that introduced me to Rabindranath, Nazrul, Sukumar Ray, Sukanto. The competitions that brought me books in the form of prizes. gorging on the most delectable food at various pandals. From spicy jhalmuri to egg-rolls dripping with oil to biryani and kababs. And of course the traditional, delicious bhog. the inimitable sound of Dhak overtaking the entire atmosphere, silencing the crass automobile horns with its nostalgic beats. the staying up late in the night at pandals, watching cultural shows. The shows that brought folk theatre like Jatra, folk music like baul and bhatiyali as well as “modern” songs to urban Bengalis. The nights that wrapped you in the cozy aura of black and white Bengali films featuring the never-fading, ever-endeared Uttam Kumar. coming across friends and acquaintances you haven’t met in ages. Like your social studies teacher from middle school whom all the students loved. Or the physics teacher you would have done anything to avoid back when you were her student. that inexplicable happiness and widespread camaraderie that mingles with the crisp autumn air. Bhaswati, thanks so much for doing this beautifully informative piece on Durga Puja. After Saraswati, (the goddess of the Arts as you know) Ma Durga is my favorite because she is the epitome of woman power! I will be taking my kids to the temple for the Puja. They are so excited – they love that she rides a lion! Ofcourse, Kolkota must come alive during the Puja – do enjoy it, Bhaswati and take pics if you can. Your mention of the food makes me drool.Drool to the point I even wanted to eat those lowers. You forgot to add that this is a festival when the communists in Bengal in forget that they are athiests ! You describe it so beautifully. I hope you have a great time and do tell us how it goes. Cesar, thanks. I hope for a peaceful festival too. More than anything else. :)Lotus, so glad to hear you’ll be taking your kids to Durga Puja! Kolkata of course goes crazy during this period, but New Delhi Bengalis are no less frenzied. I will surely take pics and share with you all if possible. :)Aww, Bernita. To tell you the truth, we do eat fritters made from the leaves of Shiuli tree. Sending some virtual kababs your way. :PBK, thank you so much. Your wish means a lot to me. :)Bhupinder, so right you are. But then the communists of Bengal conveniently forget so many of their staunchly-held principles so often, I won’t even bother going there. :PJas, how I wish you could experience the wonder of Durga Puja. You can’t miss any of the elements. The scent of Shiuli is all over the air during this time, especially at night (the flower starts blooming at night). The food is equally ubiquitous across the puja venues. I will definitely try to share with you all my time during the festival. :)South, thanks a ton. :)I forgot to wish you on your birthday and felt terrible. Hope you had a good one. Wow! You make me want to experience the fullness of it all. Happy times! Keep us posted. That’s so awesome. Now I’m hungry. Again. Thanks. Bengalis have a rich cultural legacy to live up to. I keep hearing how they are better than arts then at business though the best corporate boss I had was a bong. In the recent Chennai blog camp, somebody spoke on Bangla blogs. Hope they become popular and spread the culture.